A Kansas judge has accepted a jury's recommendation of a death sentence for Frazier Glenn Miller, the former Klansman who killed three people last year outside two Jewish businesses. 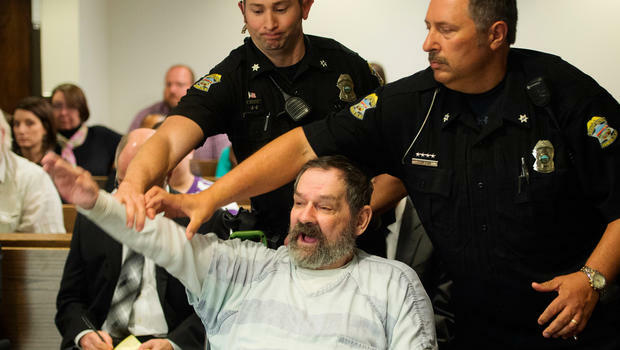 Even as he formally was sentenced to death this week for three murders, Frazier Glenn Miller Jr. continued spewing hate. It was his hatred of Jews and a fervent idolization of Adolf Hitler, Miller told a jury this past summer, that drove him to kill three people in April 2014 outside two Jewish facilities in the Kansas community. The jury convicted him of three capital murders charges and took an 90 additional minutes to decide he should get the death penalty. On Tuesday, District Judge Kelly Ryan carried out sentencing. “Your attempt to bring hate to this community, to bring terror to this community, has failed,” Ryan told Miller, CBS News reported. The judge sentenced Miller to 394 months for separate jury convictions for three counts of attempted first-degree murder, aggravated assault and discharging a firearm into an occupied building. Then came the death sentence.